Funny thing is, we are all experts in using body language we just aren’t great at reading it. Sure, we know pursed lips and a scowled face likely indicates anger. We also know someone with a big smile is probably happy. Expressions such as these are universally accepted. What is harder to determine is if someone is lying. How great would it be if we could decipher someone’s true thoughts or feelings simply by watching them? Well, I’m here to say you can. In fact, nonverbal communication also called kinesics is so valuable it is heavily utilized by the FBI, police, and military during interrogations and investigations. Why? Because every “BODY” is saying something. So, you might be wondering, why is this important for me, the job seeker? As a career coach I want you to land that next job. To get that job, you must make it through an interview. There is a lot of valuable information conveyed with nonverbal cues in that setting. Let’s look at the interview process. As you enter the interview room does the interviewer make immediate eye contact, wave you in with an open hand and a smile? Yes! This is a good sign. The interviewer is genuinely pleased you are there and open to hearing what you have to say. As you enter the interview room does the interviewer avoid eye contact while remaining firmly back in their chair with arms crossed and lips tightened on one side? Yes! This is an indicator the interviewer is merely going through the motions. The interviewer does not want to be there and will not be open to hearing anything you have to say. Most common reason tends to be that he/she may already have another candidate in mind and is simply fulfilling a requirement. Handshake: The handshake is often how many interviews begin. Strive to engage the other person’s hand firmly without applying to much pressure. Also, avoid trying to demonstrate your strength by squeezing so tightly you hurt the other person, but also avoid a limp handshake. Tip: if you have sweaty palms, consider keeping a tissue or handkerchief in your pocket. Eye Contact: Make eye contact without making them or you feel uncomfortable. Do not stare continuously in their eyes and avoid rapid eye movements darting all over. Eye contact says your confident. Staring continuously makes people want to depart quickly. 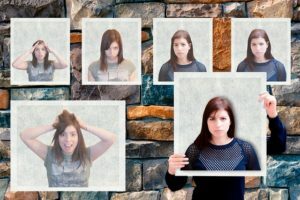 While nonverbal communication has much more to offer, it is my sincere hope these tips will help you feel more confident in the interview and land you that dream job. If you have any other insights or personal experience you would like to share I encourage you to do so by replying in the comment section. Dr. Jeannine Bennett is the founder and CEO for Vision to Purpose, an organization dedicated to helping individuals and businesses succeed through the offering of tailored career, life and business solutions. Need a resume writer? How about a career coach? Perhaps a business consultant? Look no further, Dr. Bennett and the Vision to Purpose team can help! 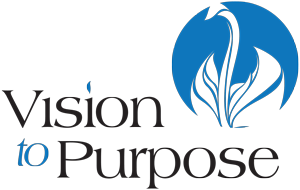 You can learn more about Dr. Bennett and Vision to Purpose by visiting www.vision2purpose.com.